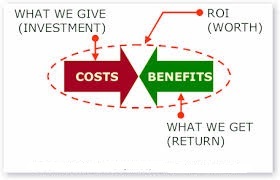 The ROI FormulaIn this context, the typical formula for calculating return on investment (ROI) is either revenue/costs, or profit/costs. We prefer to use a profit-based calculation, because it can be directly compared to a “safe” investment, like a Term Deposit. Now we will calculate the ROI for a NetSuite project. Automating tasks is one of the many things that we do at BM Online. We will work with you to understand your business processes and make recommendations for areas that can be improved or automated. Contact us here to start a conversation.